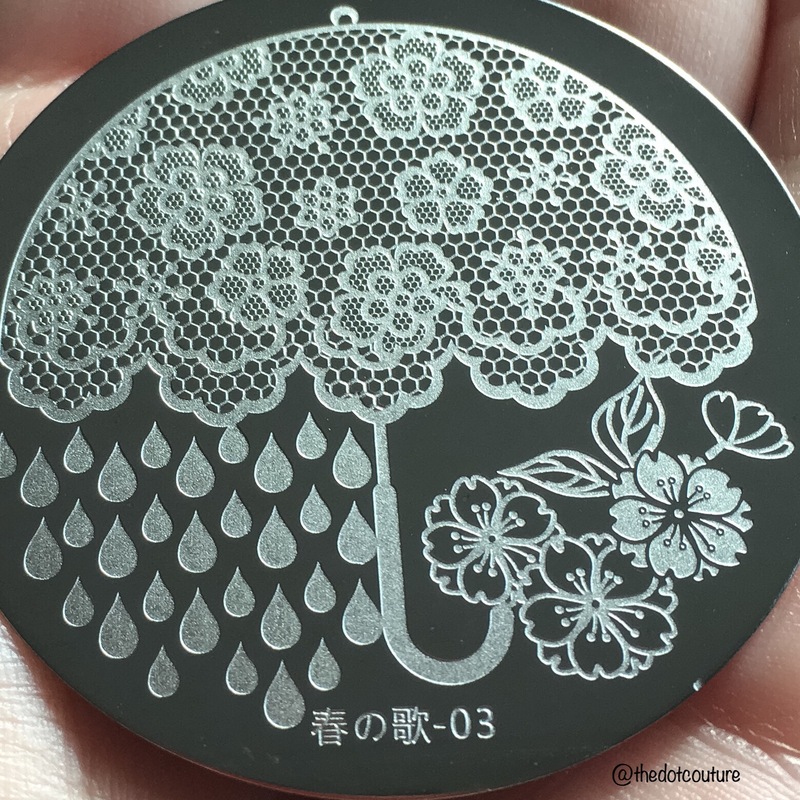 So I do tend to prefer their rectangular plate however I was immediately drawn to this adorable lace umbrella! I thought it was a very unique way to present the pattern. 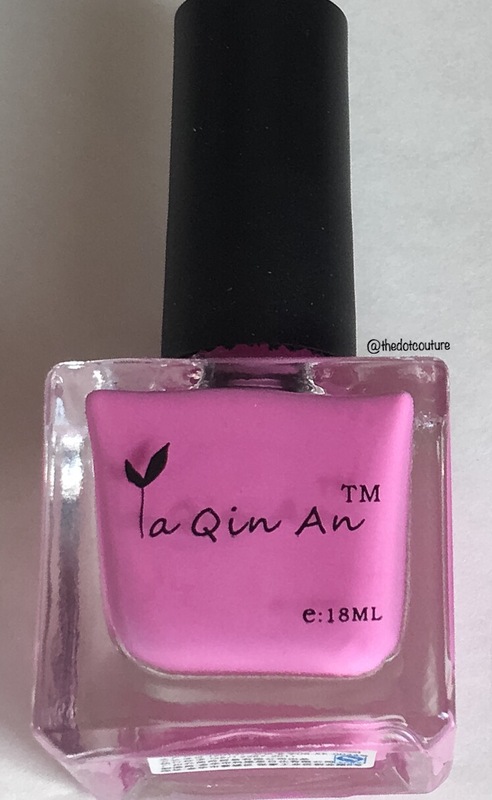 I also think the scalloping along the bottle is great – you could do half-moon lace nails or even French Tips. The plate is lightweight but sturdy, and the edges are nice and smooth. It comes with a blue film to protect the front (remove before first use), and a cardboard sleeve for storage. Swoon!!! I love how this turned out!!! 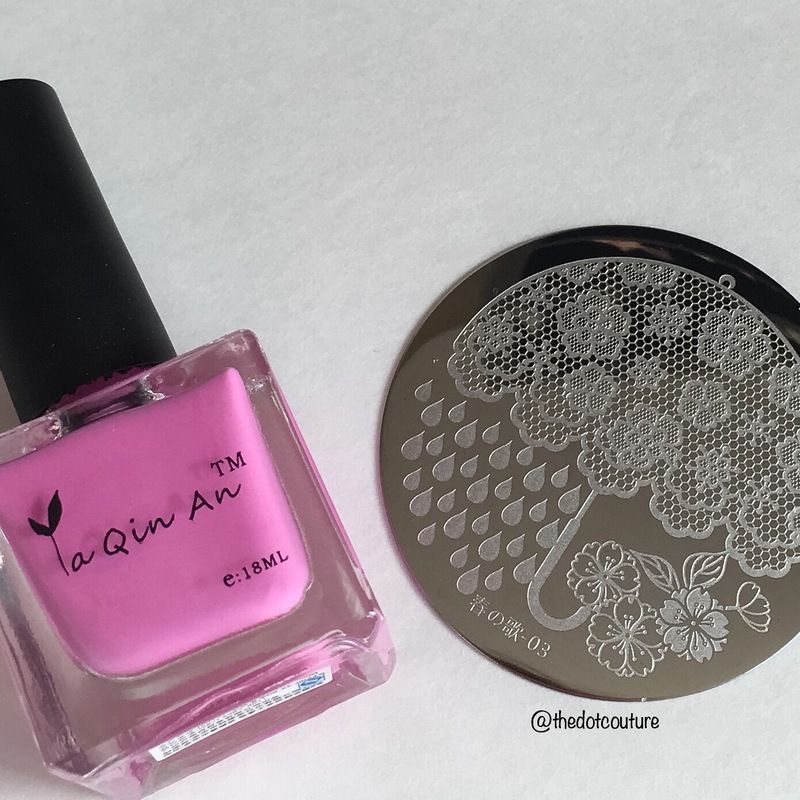 I was super impressed with both the etching of the plate and the opacity of the stamping polish. They were a great combo together! 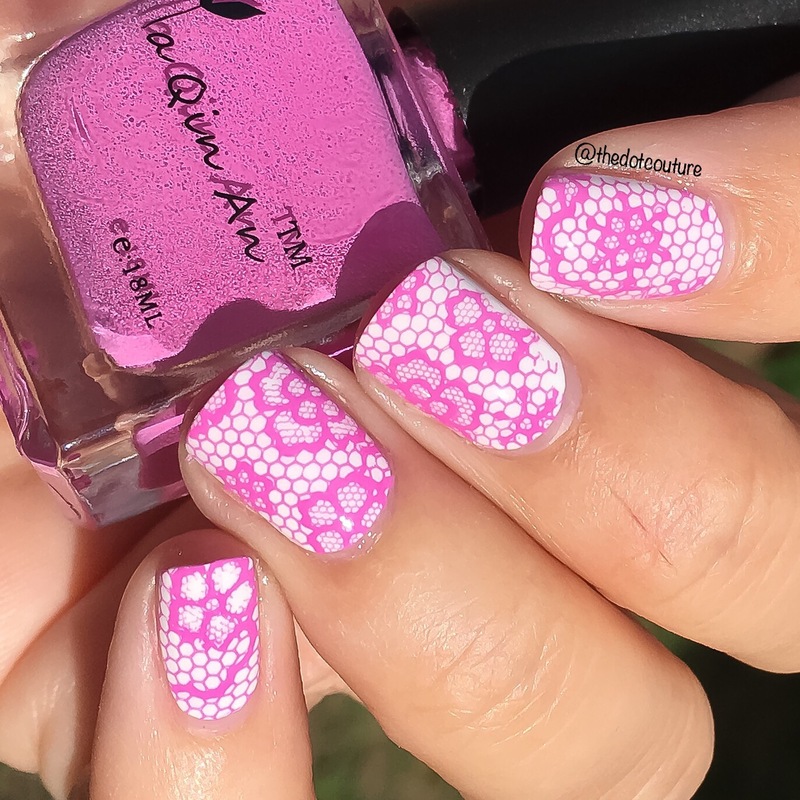 After this I will definitely be looking into more round Bornprettystore plates. This one was $1.99 USD at the time of this blog post. They have free worldwide shipping! And if you so desire, code JDGK31 will give you 10% off all non-sale items at checkout!! !